Kenneth Heiser | Financial Advisory Network, LLC. Kenneth Heiser has over 25 years of experience providing investment management and financial planning. Ken began his career working closely with client advisors, CPA's, and their attorneys. This lead to working and developing strategic relationships with Partners of large accounting firms, and working closely with small to mid-size accounting firms around the country. He also has developed a tight niche with Managing Directors of Investment Businesses and Trading Firms, as well as high net worth business owners. As part of the client relationship, Ken works in tandem with client advisors, including attorneys and accountants, to provide comprehensive financial planning strategies utilizing a team approach. 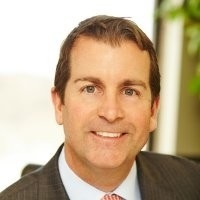 Ken holds a Bachelor's degree from Villanova University and is also an Financial Advisor and Registered Representative with MML Investor Services. Ken also serves on the ID Council and Field Advisory Committee. He also has ChFC and CASL designations from the American College in Bryn Mawr, PA.
Ken resides in Westport, Connecticut with his wife, Jennifer, and his son, Marshall. He spent years coaching little league baseball and now enjoys playing as many rounds of golf with his son as he can.